Create a Personalized Stein for Dad! 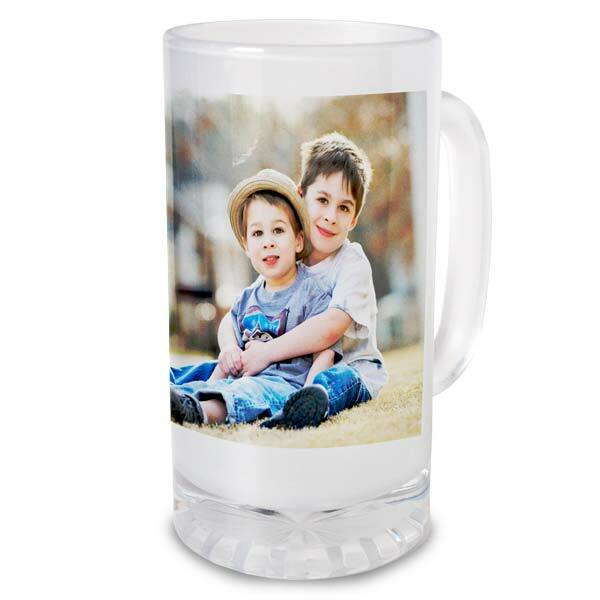 Personalized frosted glass steins are great for holding his favorite cold beverage, and with a photo and custom text, he can enjoy his drink even more while enjoying a friendly face, or photo of a loved one on his stein. For Best Results: Use high contrast photo with plenty of darks. Photos with fine detail, and lightly exposed photos DO NOT reproduce well on glass.